It was good to be ministering in East Africa again. 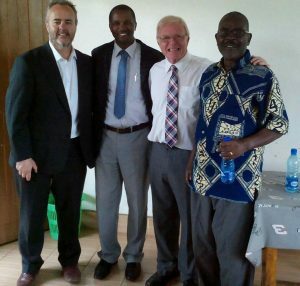 We began this three nation mission in Rwanda flying in via Kigali and staying a few days with our dear friend and Call2Come Representative in Rwanda, Rev Norman Desire. It was good to be in his home and with his family again. We were also blessed to attend Omega Church with him on the Sunday and once again meet their pastor, Pastora Lilose Tayi where we had in July of 2016 shared the ‘Rwanda in the Hands of the Lord Prophetic Conference’ with Apostle John Mulinde of The Trumpet Mission. We had to return to the UK after this three nation mission via Kigali again and to meet members of the Rwandan Intercessors Network of which Pastora Liliose is a key leader, to discuss our return to Kigali and run an Awakening the Bride (Call2Come) Conference in the near future. The meeting we subsequently had was very profitable and we await further developments. From Rwanda we crossed the border into Western Uganda on the 8th May to speak at Rev Medad Buringi’s Healing of the Nations Conference in Rwentoba called Awakening the Bride of Uganda. 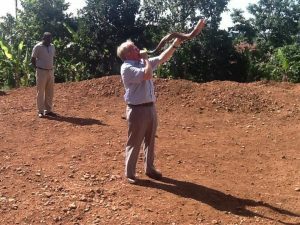 Both Howard and Mike had ministered in Uganda the previous year and had seen the Lord move in power. 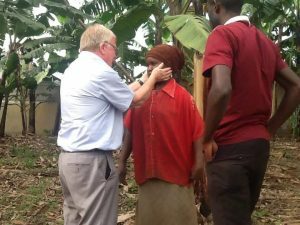 The son and daughter of a local witch doctor had received Christ and the witch doctors daughter was healed of deaf and dumbness and delivered from the consequence of demon activity. 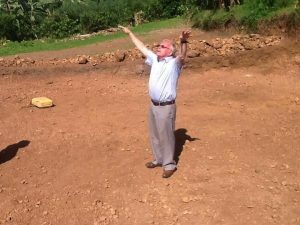 We also were able to dedicate the foundations of Pastor Peter’s new Church building in Bushenyi, a town not far from the Conference ground. 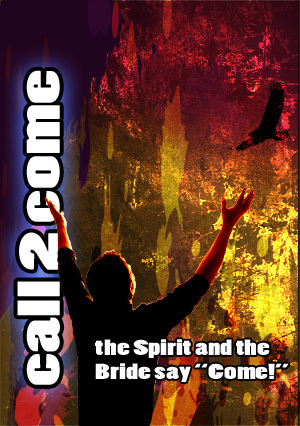 We believe that the Conference was well received and set a good foundation for this ‘Call2Come Movement’ in Uganda and East Africa. Many friendship were made and invitations to minister in the other nations represented at the conference have developed since. We give God all the glory. Not only was the message of the Bride delivered but we had the opportunity to minister healing and deliverance to many people throughout the five days. 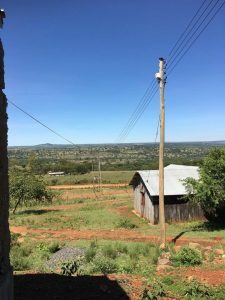 From Rwentoba in Western Uganda we took the bus to Bungoma in Western Region Kenya. There is a Time Out Mission Church there which doubles up as a Call2Come Training Centre under the leadership of Apostle Martin Kwanusu. 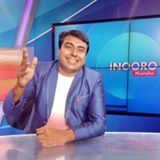 He is a member of our International Call2Come Team. It was so good to see him again and to hold a three day conference on The Bride at this centre. 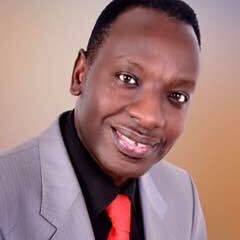 God had given to Mike a profound prophetic Word for the nation and for East Africa in general and we were led to declare that Word during the conference and to do so in the context of opening a court in heaven with great solemnity and reference. 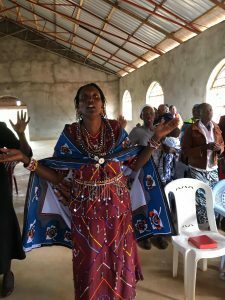 The Spirit led us to pace out on the ground within the Church building a space 20 paces by 20 and anoint the ground at the four corners with Oil of Esther and so sanctify the land in order to proclaim the prophecy. Howard blew the shofar and announced the Court Room open. Mike declared the prophecy and when it had been given announced the Court Room closed. Please see the prophecy on the website where it is posted separately under prohecy for East Africa. This declaration was so significant since it came at the time when Kenya was about to hold its national election for a new government. 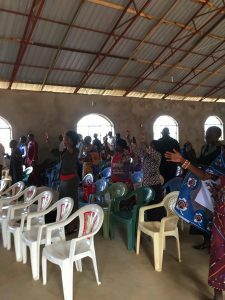 From Bungoma we travelled to Kisumu to hold another Bridal Conference organised by Apostle James Samo, our Call2Come Representative there, and his team in Kisumu and the large Network of Pastors he oversees. It was wonderfully successful and resulted in the establishing of yet another Call2Come Training Centre there. After the few days in Kisumu we returned to Bungoma and then travelled deep into Masai land to Lo lgorian in the Masai Mara. 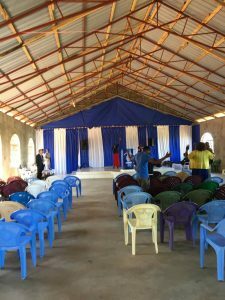 Pastor Amos a Masai and his team met us and showed us the large church he had built and shared his vision for a ministry centre amongst the Masai. We had a wonderful three day conference about the Bride and Bridegroom and the End Times and met some wonderful spirit filled disciples of Jesus. 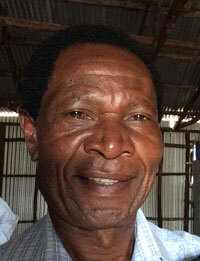 Pastor Amos was so blessed and offered his lovely church building as the first Masai Call2Come Training Centre. 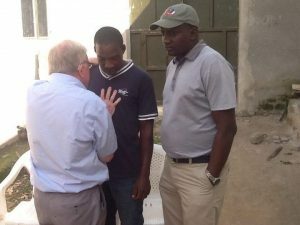 All these centres around the world will be able in January 2018 to link up together if they chose and with our Live Streaming Broadcasts via our website so that they can hear us teach live from the UK on the Foundation Course about the Bride that we have prepared. Those who complete the course can be accredited and become one of the growing army of accredited Call2Come ministry teachers. 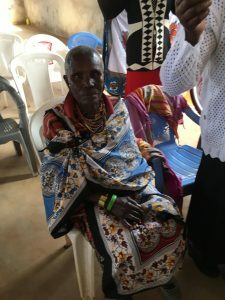 The Masai received us so warmly. We even learnt to dance Masai style and received many Masai gifts. 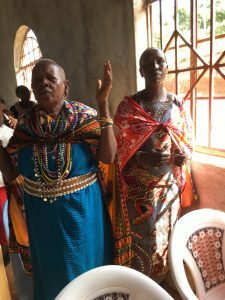 The visit to the Masai Mara concluded with a crusade in the market place where both children and adults accepted Jesus as their Saviour…..Praise God! 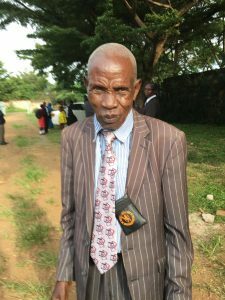 The following day we caught the coach to Nairobi and stayed the one night with our dear friend Pastor Benson Ng’amg’or. Then it was off to the airport and home. Glorious insights into the holy scriptures. Outstanding, encouraging and inspiring messages. I’m greatly enriched. God bless you. Greetings from Kampala, Uganda. 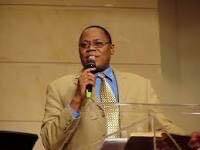 Dr. Howard, I have learnt of your wonderful ministry through Apostle Bogere from Apostles Uganda, a network to which I belong. Through your communication with him I have had access to your website. I simply want to thank the Lord who has and is using your team to awaken the church to her true Identity and sancitity as the bride being prepared for Jesus the bridegroom. I have been chosen to head the organization of the forth coming “AWAKEN THE BRIDE OF CHRIST” summit in Uganda in may 29-31,2018. I hope Apostle Bogere has already communicated this. It is my desire that a line of communication is opened between me and you for the success of this summit. Maranatha. It was a joyous moment of meeting with you and Apostle Mike Pike this year in Nairobi- Kenya. am so luck to have you as my spiritual father. God bless you.